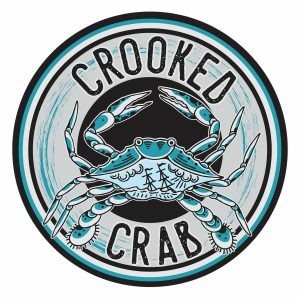 Crooked Crab Brewing Company is the brain child of three Maryland natives and University of Maryland graduates: Earl Holman, Alex Josephs and Daniel Messeca. Active participants (ahem!) in the craft beer scene for years, they have travelled near and far visiting breweries and festivals and have done their fair share of home brewing in the process. It was at a brewery visit in Rockville that the idea for Crooked Crab Brewing Company was born. Inspired by the idea of building a brewery that would make Marylanders proud, the three quickly set their sights on Anne Arundel County, home to the state capital but zero local breweries. Does beer need a philosophy? The plan is simple: brew the beer we like to drink (we think you’ll like it too!) No corners cut no ingredients skimped on. Our Crooked Ales come in a wide variety of styles ranging broadly in color, aroma, and of course flavor. From crisp refreshing cream ales to rich and hearty stouts, there’s a beer for every palate.